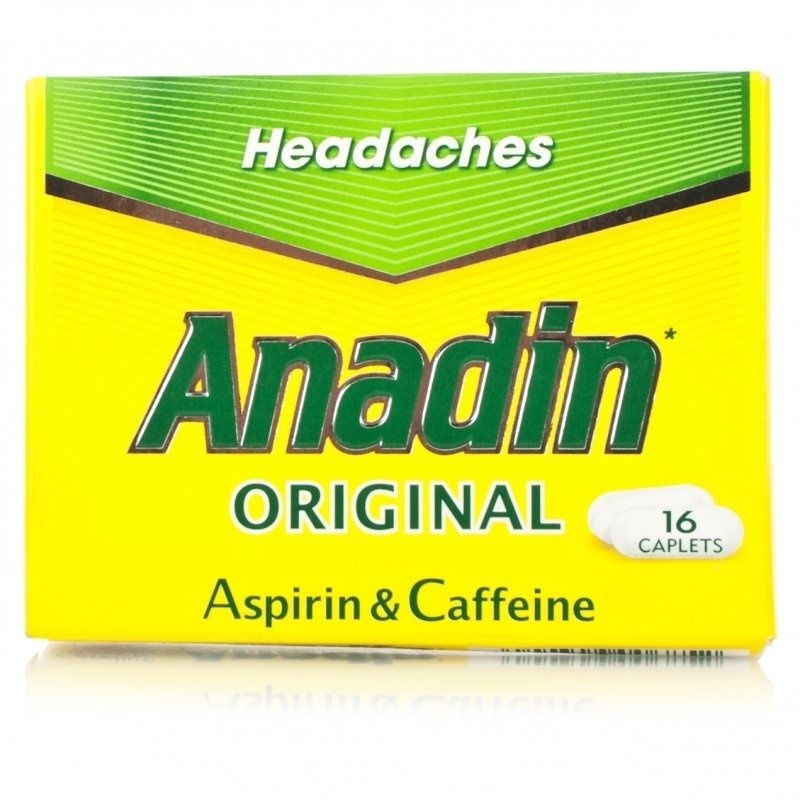 Anadin Original tablets contain a tried and trusted formulation for fast, effective pain relief. Coated and specially shaped for easy swallowing. Can be used for the symptomatic treatment of headache, migraine, neuralgia, toothache, sore throat, period pains, sprains, strains, rheumatic pain, sciatica, fibrositis, muscular aches, joint swelling, influenza & feverishness. 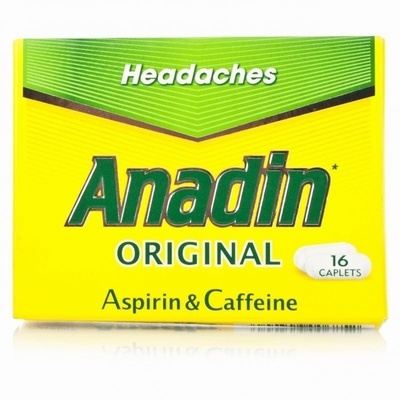 Contains Aspirin and Caffeine. Suitable for adults and children over 12 years.